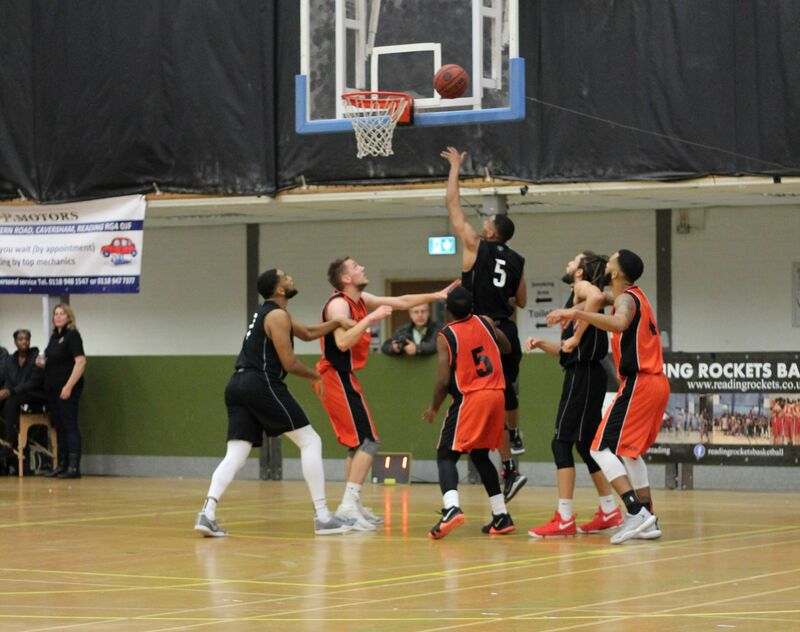 Reading Rockets (10-7) will be looking to make it two wins on the bounce on Saturday afternoon when they make the long trip North to face Team Newcastle (5-12), 3pm tip-off. The Rockets put an end to their three game losing streak last weekend when they comfortably defeated Bradford Dragons 100-60 to get back to winning ways. Saturday’s match-up will be the first between the two teams this season with last year’s series split. Rockets won their opening game of 2017-18 with a 72 -68 away win before Team Newcastle won in Reading -67-63. Despite both teams being at different ends of the table, the Berkshire outfit will endure their longest trip of the campaign having only won one out of the last four whilst Saturday’s hosts are struggling for form only winning one in their last nine outings. Rockets go into Saturday’s game with better injury news. Point guard Adrian O’Sullivan got some valuable minutes under his belt in last Sunday’s win against Bradford and looks set to feature again for this weekend’s match-up. Captain Danny Carter showed no adverse reactions to his back injection and is hopeful to now be able to manage his back complaint through to the end of the season. With Under 18 Sam Grant approximately 7-10 days away from returning to training, Coach Alan Keane will have a near fully fit roster to chose from for the first time in 8 weeks as his team look to put their current woes behind them and push on to secure a play-off spot and possibly a top four finish. The first game of 2019 began with Rockets needing some fire and the players looking as though the Christmas pudding had stopped them from getting off the floor and taking rebounds as Magic took down and commanded the boards, storming into a 17-17 early lead which they extended to 33-19 by the first break. Four trebles and a 3 point play were some of the extent of Magic’s superiority. hitting the penalty shot to lift Rockets as they had a skip in their steps as they walked to the changing room just 11 points adrift with the score 43-54. The 3 week lay-off was now something of the long past as Rockets powered into the third quarter taking it 30-18 to take a single digit lead at 73-72. Two of Rockets young Academy players were very influential as Sam Grant stroked a brace of trebles and scored with a jump shot whilst Arinze Emeka- Anyakwo made steals, defended the boards well and hit five personal points. Pemberton had found his length and hit three trebles and a pair of floaters to score 13 personal points and help lift Rockets further even with the big American Carr spending much time on the bench with 4 fouls. A 25-15 final period saw Rockets secure another victory 98 to 87 and lift them to third in the league ahead of the visit of south coast rivals and current second placed Worthing Thunder to Rivermead next Sunday 13th Jan. Magic hit three trebles to stay in contention throughout the fourth quarter but Pemberton was imperious with another eleven point quarter haul coupled to crucial rebounding and steals. Emeka-Anyakwo scored ten personal points and took down a pair of key defensive rebounds as Rockets began to look forward to the 200 mile return journey secure in the knowledge they’re still in the chasing pack seeking the league title. Top scorers for Rockets were Trae Pemberton with 34 pts.,6 rebounds and 5 steals with Arinze Emeka-Anyakwo hitting 15 pts., taking down 4 rebounds and making 3 steals and A J Carr with 14 pts., and 4 assists plus Sam Grant with his first. 8pts Senior haul and taking down 3 rebounds and making a steal in an impressive forward for the 16 yo who had played a junior Men game some 6 hours earlier in the day and arrived just an hour before tip….surely a game and weekend to remember for Grant. Reading Rockets (8-5) will be looking to bounce back from two consecutive defeats for the first time this season when they make the short journey to Southampton on Sunday afternoon (3pm tip-off) to take on current NBL Division One league leaders Team Solent Kestrels (10-3). Rockets suffered their second defeat on the spin as they lost a close encounter to Hemel Storm (8-5) last Saturday by 88 points to 81 as they dropped to sixth in the table but still amongst the chasing pack. This Sunday’s opponents snapped their six game winning streak when they lost out reigning champions Team Northumbria 65-86 last weekend but remain top of the pile and undefeated against the Rockets in the two games already this season. Kestrels were victorious in the National Trophy back in September when they took a 93-78 away win before defeating the Berkshire outfit in the National Cup, gaining an 89-67 victory to lead the series 2-0. We put in a better performance on Saturday and in parts of the game played some great basketball. We are really pleased with these elements and must build on this going forward. A few areas still remain a concern in terms of our fourth quarter play but I am confident we can address these quickly and take forward the very positive parts we are seeing. This Sunday we have an opportunity to do this against one of the best teams in the league. Solent has done a really good job building a deep roster over the last two seasons and are now really competitive and currently the team to beat. They have talent and cover at every position but are not unbeatable as Northumbria showed last weekend. We will be ready to play a tough game whilst making sure our intent and communication is at its best in what will be an awesome challenge for us. Rockets go into Sunday’s match-up with the positive news that 6’9 forward Danny Carter will be returning to the squad after a short break. The 29 year old has not featured since early November but is looking forward to being back in action after his time out. Carter will provide some much needed impetus in the front court with American Tim Gill playing extended minutes in the last few weeks. The Berkshire outfit should have a fully fit roster to choose from as Manuel Peña Garcés’ men look to break their duck against Team Solent Kestrels this term and put back to back defeats behind them as they look to keep up the pace at the right end of the NBL Division One table.